A pendant (or keyfob) based on the badge issued to people working on the inland waterways (IW) during the Second World War. 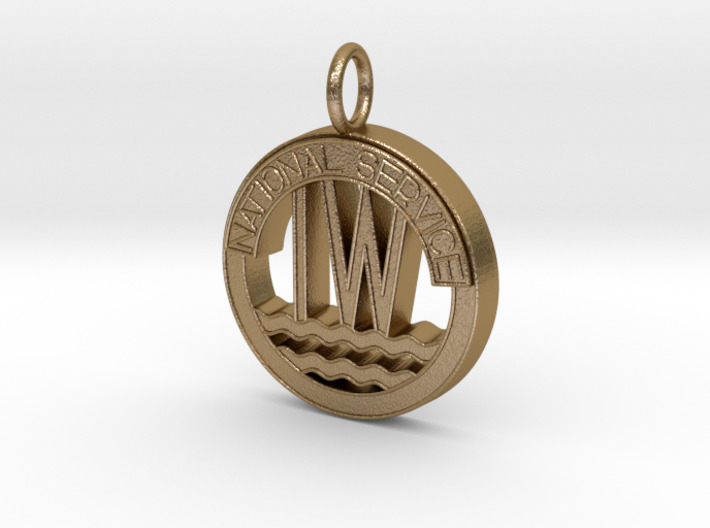 Inscribed with the words NATIONAL SERVICE above the letters IW on a variation of what would be the British Waterways Transport emblem. The IW also came to represent the Idle Women 'trainees'; women working the waterways in wartime, as chronicled in Susan Woolfitt's book "Idle Women."